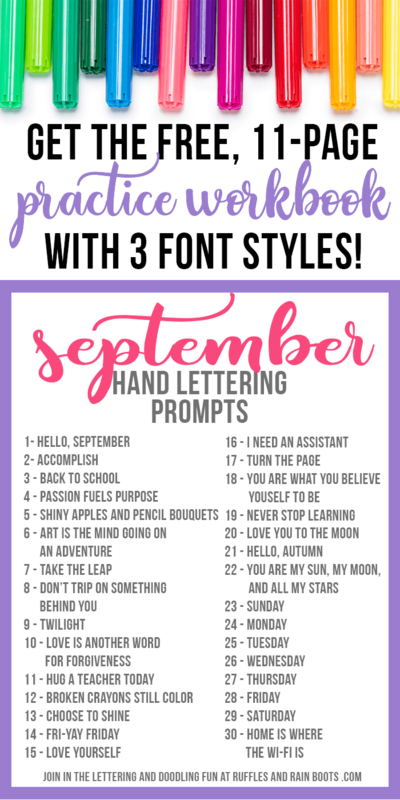 The September hand lettering practice workbook is here! 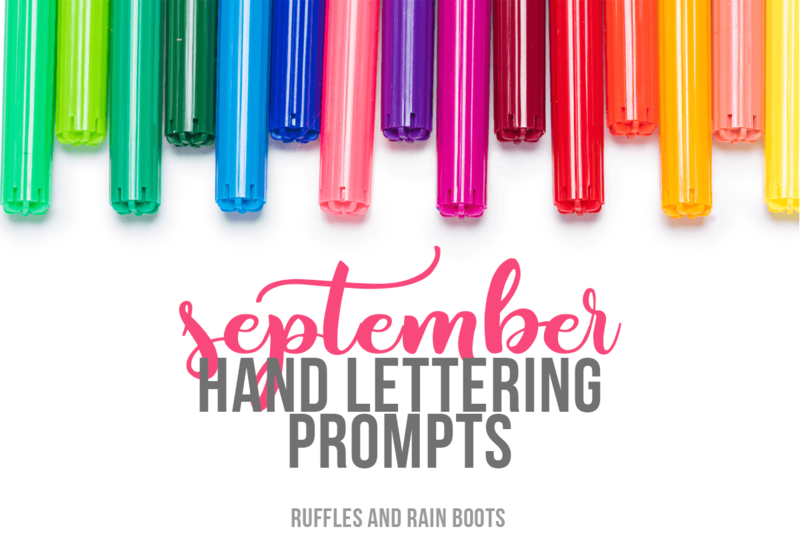 Eleven pages of free hand lettering practice in 3 styles – let’s get started. It’s back to school time here in Seattle and I have all the mixed feelings. I joke about needing her to be back in school while working through the pangs of missing her while she’s there. Let me know how you’ll spend your September days in the comments. If you are subscribed to our newsletter, you already have the password (it’s at the bottom of every email I send). Grab that password and get the September Workbook here. Sip your tea or coffee and relax with your practice sheets as you think about all things Fall, pumpkin, and cooling temperatures. 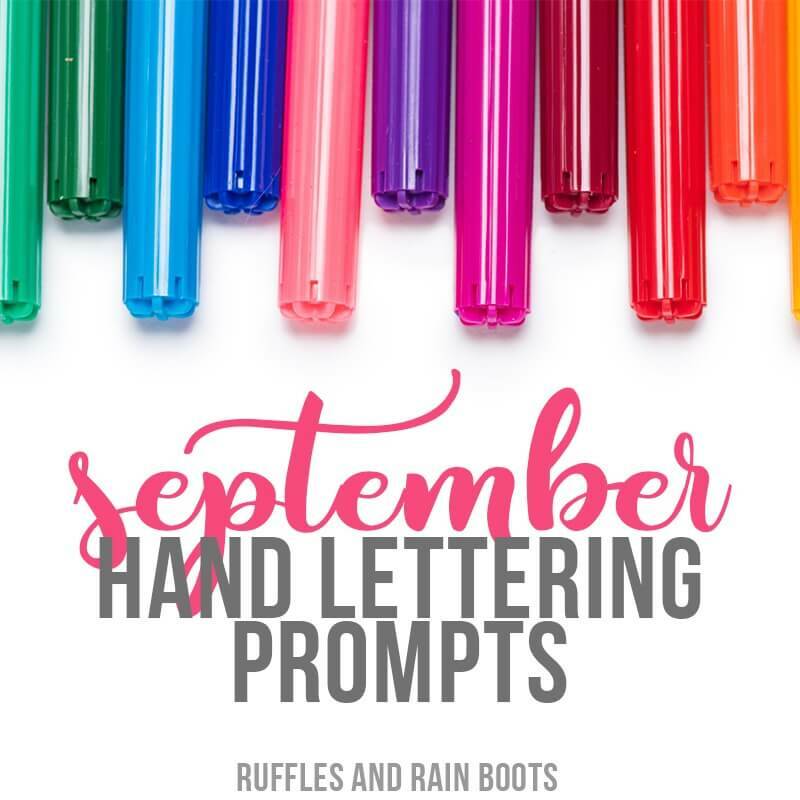 And don’t forget – we have all the other months just waiting for you in the Resource Library along with many other hand lettering practice sheets and goodies.